The Grammy Awards managed to pull off a celebration of both the living and the dead during Sunday's show, and in return they had the highest rated ceremony in nearly three decades. According to a statement from the Recording Academy, more than 39 million viewers tuned in to see how the show would treat the passing of Whitney Houston, how Adele would perform in her first performance since throat surgery, and, of course, who would win what in the big categories. Although it could be said that we pretty much already knew the answer to that question, because Adele picked up all six awards she was nominated for, as expected. Other repeat winners were the Foo Fighters (who nabbed five honors); Kanye West (who won four); Cee Lo Green (two awards); Skrillex (two awards); Taylor Swift (two awards); The Civil Wars (two awards); jazz musician Chick Corea (two awards); and gospel artist Kirk Franklin, who also won two Grammys. The size of the audience tuned in to the 2012 Grammys on CBS made it the second largest Grammys broadcast in history. The last time so many people watched the Grammys, it was 1984, when 51.67 million tuned in to watch Michael Jackson clean up at the ceremony with his "Thriller" album. Thanks for some other magnificent article. Where else may anybody get that type of info in such an ideal approach of writing? I have a presentation next week, and I am on the look for such information. I ONLY WATCH TO SEE DIANA ROSS GET HER AWARD AND WAS MAD AS HELL WHEN THEY DIDN'T! TELECAST IT! PAUL MCCARTHY SUCKED. They were much more classy than they have been in many years! Loved LL!!! Anyone find it disturbing that the kids nowadays have no idea who Paul McCartney is ? Watching Nikki Minaj's Performance makes you really miss Michael Jackson..
Atleast we had a nice classic performance by Bruno Mars to lighten the Grammy's up a bit! 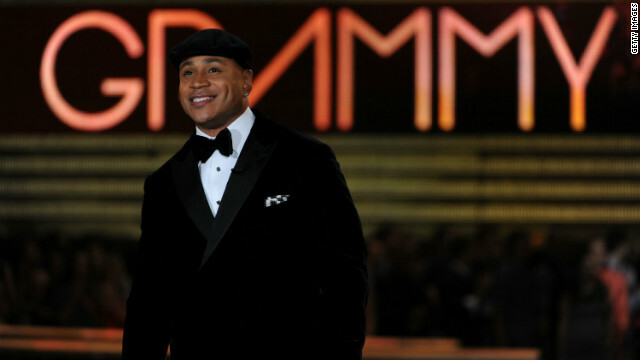 LL Cool J, was a gentlement and scholar for everything he did and said after Whitney death. I'm an transplant from Newark,NJ-Now living in NC, please let her family bury her in peace. My prayers are always with my jersey family on our great lost. Whitney Houston led an interesting while she walked on this planet ; many good works ; perhaps an interview could be done with someone in her home town Newark about her good works. I only watched the show because of Whitney Houston, I haven't watched the show in 10 or 15 years. It was lousy as usual except for the tribute to Whitney and Bruno Mars. Well i got lucky... the national tv that was showing the show made a commercial break when the freak show was starting. I think i didn´t saw a ceremony for over 14 years. I just saw this one to see Adele singing and get all the awards. The withney recordations was just another point. But those shows are getting less people watching since they are always the same things. The Oscars are losing people every year because the movies are getting weaker. The music industry is on the same run. Look at what did the editors made this year. Lana Del Rey got a reasonable song... they got her to be the "10 grammies" winner of 2013. And they pumped over 40 millions in public stunts about that "singer". On her first live interview... she got away without saying anything to the "800 millions fans". The biggest audience and not one article about the trash minaj brought to our kids!!!!! Personally, I've never cared for Niki Minaj. I believe she was looking for some shock value, which is exactly what she got. But then the truth offends white people. I don't care if you are black or white, you and Bill Cosby are a**holes! And if you are indeed black, why don't you go into the very community that you denigrate and say that crap out loud where my brethren can hear you. Well, we are waiting, when are you coming? Im neither a racist or bigot. In fact I am African American. I am just saying exactly what Bill Cosby says at any of his speaches. If you do not believe me, look up Bill Cosbys message to African American Youth. He is far more explicit than me. His message is exactly what I said. He also says many of our communities youth need to learn to use a bar of soap and deodorant. IT IS TIME FOR OUR COMMUNITY TO ACT LIKE PEOPLE. NOT ANIMALS. Only because people wanted to see if there would be anything about the drug addict who died the day before. It certainly wasn't for the music because it's terrible. I predict, (and I am not the first person to do this), that the 2012 Grammys will get more viewers than the 2012 Academy Awards, for the first time since they (Grammys) started being shown on TV. A lot of people do not care which one of the 9 movies nominated for Best Picture wins, and only two songs were nominated and this means more boring speeches in the Four hour broadcast. I think a lot of people will listen to Billy Crystal's opening monologue and then change the channel. What else would you expect from a black person. They always act like n!ggers. At every awards show some n!gger pulls some kind of stunt. Kanye, MIA, Nikki Minaj, Janet Jackson, etc. No matter how famous they are, they are still just wild n!ggers that dont know how to act when out in public. @truth because it p@sses off the likes of a55holes like you,i'm gonna keep on 'acting'like a n*gger out in public LMFNAO. You can always tell people by their extremes. If someone is this angry, bigotted and vulgar online, it is most likely an opposite reaction to their real life actions. This kid is a scared, quiet and powerless nerd in reality. The reactions he begs for online are a desperate call for attention he doesn't get in reality. One day, he will slip and act like this in public, and either get beaten within an inch of his life or (hopefully) killed. Survival of the fittest... and this the most mentally unfit person that stalks these boards. The Grammy's people will start killing a legendary Pop icon the day before their show every year from now on if it will get their ratings up! Grammy will become like that big plant in Little Shop of Horrors! "must be blood....must be fresh!!!" I don't think Miss Houston drowned. Even though she was found with her head underwater in the bathtub, there wasn't water in her lungs. Therefore, she didn't drown. Of course, that doesn't really matter, she's gone. Doesn't matter if it was from drugs, heart attack, car accident, the point is, she is gone and we only have memories of her performance and her voice that will just grow sweeter over a period of time. A few actual TALENTED singers performed this year. People who can not just hit a few notes, but surpass the note's definition. I loved Whitney's voice back in the 80's and I'm so sorry that her daughter had to witness that. But Adele's strong voice has carried Whitney's torch and hopefully will usher in a new "breed" of singer. One that doesn't cackle, lip-synch, use unnecessary voice inflections, and whisper like the pretty face/untalented people we are used to. Its time to get rid of these American Idol wannabes and get some serious Aretha, Ann, Patsy, and of course, Whitney-caliber voice strength. Sorry to burst your little bubble, but Adele's voice doesn't even come CLOSE to Whitney Houston's. The only singer who does is Jennifer Hudson, hands down. Agree BBCue!! Adele's voice is amazing!! Also, in Nicki Minaj's defense, who are we all talking about here? That is the job of an artist-to initiate thinking and debate. Ok, I thought LL did a great job hosting. Jennifer Hudson's number was very moving. I also enjoyed Adele, Rhianna, Nicki Minaj AND Glen Campbell. Imagine that! Great show. How many of these stars sat back, or maybe encouraged Whitney to have another drink on Thursday? How many of them thought it was great that the addict was out and partying like them? Are they happy with the result? Are they satisfied they did all they did to help her? Can't say I feel sorry for any of the "stars" or "Friends" who are shedding tears after they allowed her to fall. What she needed maybe even more than a friend was some kind of caretaker. It is possible a lot of those people knew her professionally, but were not close enough to take care of her needs like that. I found it sad too, and I never even knew her personally. Adele can tell Lagerfield she gained 12 pounds,2 pounds for each Grammy! This is not in reference to the article, but directed at the writers and editors of CNN: there is no such thing as "pre-screening". In order to screen something, it must be done in advance. One cannot screen something after the fact. Therefore, "comments are not screened" is the correct verbiage. CNN should know this, and should take action to remove the imbiciles who allowed this to go to print under the terms of service. Before correcting someone's use of the language, it would behoove you to learn to spell correctly. The word is imbecile, not "imbicile." It sounds like you would be a perfect editor for most newspapers, actually. I loved the way LL Cool J hosted!! The show wasn't that bad for once, that is until Nicki Minaj took the stage. I find it very distasteful and disgusting that CBS and the Grammy producers allowed that garbage to be shown. At the very least, someone with that little of talent shouldn't even be nominated. Absolutely horrible. Niki Minaj is a disgustingly perverted maniac. But what is worse is the Grammys for permitting this outright assault of the Catholic religion. Her entire performance was horrendously insulting to Christians every where. In total bad taste. She has absolutely no talent or redeeming qualities. Anyone associated with her is even more perverse than her (or it). She is an untalented monster. I agree Doreen. She is not talented at all. Can't figure out what the big fuss is over her. disagree. I'd like to see you do what she does. Then you can say she isn't "talented." I agree Doreen 100%......couldn't believe the display she put on!! She's a rapper and performance artist. She's actually quite good. There was a lot going on with the theatrics that might have taken away from what she was trying to do vocally. Why is it an insult to Catholicism? Did you not get the Exorcist theme? Nicki Minaj constantly refers to her alter ago, named Roman, which is the reason for the possession theme. Inner city kids are getting the worst possible education because drug gangs control the inner city and create violence and fear in the schools. So the US news media and the video media decide to glorify a drug user! When will there be open hunting season on journalists? Will it really cost 50 cents per head? Can we sell them for hot dog meat? Yeah, I think the media is praising druggies who have supported the mass killings of tens of thousands in Mexico and in the US. Pretty sure they owe that record viewership to Whitney's death. Nobody gives a s*** about the Grammys otherwise. I watched the telecast so I could watch MCCartney and the Beach Boys...everything else was disposable. I wonder if her and Don Cornelius are dating now? That was sick.........what would you say if that was your mother, daughter or love one. She gone and GOD will be the one that well judge. I think Adele is a wonderful singer. Too bad about Whitney. She should have known better than to mix alcohol with pills. And then she got in the tub ans drown I read. Such a sad day. I agree about Adele.... she is WONDERFUL and seems sweet and sincere! And yes, too bad about Whitney, but she's been into drugs and alcohol for years. It really wasn't any surprise, was it? Too bad our country can't pay as much praise and tribute to our soldiers who fight in wars to protect this country,, like they did for Whitney Houston!!! Flags at half-staff for New Jersey??? Oh come on !!! !